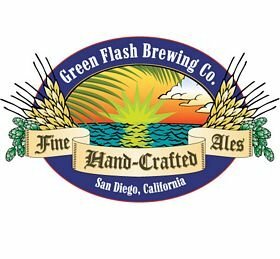 (San Diego, CA) -Today, co-founders of Green Flash Brewing Co., Mike and Lisa Hinkley, announce that Virginia Beach-based developers, The Miller Group,will lead both development and construction of the Green Flash East Coast brewery in Virginia Beach (located at Corporate Landing and General Booth Blvd). Green Flash execs selected The Miller Groupbecause of the company’s solid history as a Virginia Beach-based developer with fully integrated capabilities and extensive experience in building industrial and manufacturing facilities. The Miller Group’s community connections will ensure that subcontracting and other project needs will be primarily outsourced to Virginia Beach locals, another determining factor that was of importance to the Green Flash team. The Miller Group estimates that more than250 Virginia Beach area residents will have a hand in building the 58,000-square-foot brewing facility from groundbreaking to finish. After the construction is complete, Green Flash will create permanent jobs for more than 40 people in the region. Surrounding the project is positive speculation on the long-term economic benefits that the city and residents of Virginia Beach will reap from the Green Flash brewery’s presence. Mike Hinkley, co-founder and CEO of Green Flash, and Tim Harkins, president of The Miller Group, met while Hinkley was in the early stages of seeking a location for their 2nd brewery. While Green Flash was investigating Virginia Beach as a possibility, The Miller Group was extremely helpful, and the leaders developed a comfortable working relationship. While there will be immediate job opportunities for local contractors when they break ground, and permanent brewery jobs upon opening, The Miller Group is most excited about the long- term impact Green Flash may have on the city in other areas. Green Flash announced the Virginia Beach brewery location in March 2013, and The Miller Group has noticed an uptick in interest from out-of-town businesses looking closely at Virginia Beach as a location for development, specifically in the area immediately surrounding the future brewery site. The developers are also seeing a surge in craft beer interest among locals, with crowds flocking to establishments that feature Green Flash and other craft brews. This emerging interest among residents is expected to increase exponentially when the brewery opens. As the end of the high season in Virginia Beach draws near, Green Flash will create a valuable new draw for both visitors and locals alike. The Miller Group predicts that Green Flash will become a destination for a whole new generation of tourists who are interested in craft beer. While it is impossible to predict what will happen after the brewery opens, Green Flash and The Miller Group are enthusiastic about the potential impact the new destination may have on Virginia Beach in the long and short term. The craft beer tourist demographic will demand a range of other supporting businesses and this domino effect could be tremendous for economic growth in Virginia Beach. The Miller Group is located in Virginia Beach, Virginia and was founded by Jerry Miller in 1998.The Miller Group is a full-service real estate development, construction, property management and leasing company. For two decades, the Miller Group and its affiliated companies have acquired and developed hundreds of acres of land for commercial and residential developments. In addition, The Miller Group has generated more than $200 million in construction contracts involving design build, infrastructure, tenant improvement and general commercial construction projects in the private and public sectors. Please visit The Miller Group website www.millergrpva.com for more information. Green Flash Brewing Co. is located in San Diego, California, and was founded in 2002 by Mike and Lisa Hinkley. Brewmaster, Chuck Silva, leads brewing operations. Green Flash is an award-winning brewer of fine, hand-crafted ales, and specializes in brewing assertive and distinctive beers, such as the nationally acclaimed West Coast I.P.A. : an award-winning beer whose wide acceptance has helped define a category. Green Flash brews ten styles of beer regularly, on draught and in bottles as well as a growing lineup of seasonal and special offerings, including several barrel-aged beers, throughout the year.